Suzanne Kunkel and Kate de Medeiros share their perspective on the shows portrayal of aging. The Scripps Gerontology Center mourns the recent death of Robert C. Atchley. Bob led the center for more than two decades. He was a pioneer in the areas of retirement research, continuity theory, and spirituality and aging. He will be dearly missed by several generations of gerontology students and colleagues at Miami University and far beyond. Thirty-four Miami University Gerontology faculty, research staff, graduate students, and collaborating alumni will present at the GSA 2018 Annual Scientific Meeting in Boston, MA., November 14  18, 2018. 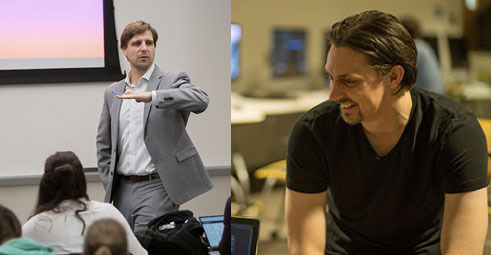 Miami University Junior Faculty Scholar Awards have been presented to Bob De Schutter and Dominck Konkolewicz. Professor Liz Wilson examines anxieties about masculinity among male pilgrims to a Hindu shrine, as well as legal controversies over a Jain practice of fasting to death.